An easy-to-use and powerful hard drive data recovery tool. Do Your Data Recovery Professional 5.8 was available as a giveaway on August 8, 2017! 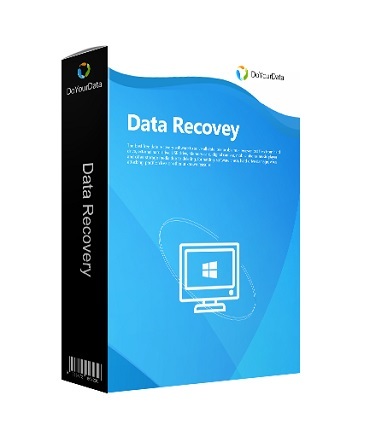 Do Your Data Recovery Professional is an easy-to-use and powerful hard drive data recovery tool to easily recover deleted, formatted or inaccessible files. It can retrieve lost files from PC, laptop, hard drive, digital device, storage device etc. on Windows. It also supports lost files recovery from the deleted partition. How would you improve Do Your Data Recovery Professional 5.8? Trend Micro blocks DoYourData.exe. At first it says it says "Suspicious Software Blocked" and then it goes one step further and says "File Removed." That concerns me. Was it hacked? Seems to have automatically registered itself as pro version. I've used an older version in the past. Great program! Thanks, GAOTD and DoYourData! Installed but cannot run. Get error "Runtime Error!" R6034 An application has made an attempt to load the C runtime library incorrectly. Please contact the application's support team for more information. then get "The application was unable to start correctly (0xc0000142), Click OK to close the application. I have uninstalled and reinstalled twice, rebooting computer in between. Windows 10. Installed but cannot run. <i> Get error "Runtime Error!" R6034 An application has made an attempt to load the C runtime library incorrectly. Please contact the application's support team for more information.</i> then get <i> "The application was unable to start correctly (0xc0000142), Click OK to close the application.</i> I have uninstalled and reinstalled twice, rebooting computer in between. Windows 10. Downloaded and installed on Win 10 Pro x64 and activated with ease. Had this on my older system and it worked great! This application has a better UI then some I tried, so definitely a keeper. Thanks for offering this application again. Downloaded and installed on Win 10 Pro x64 and activated with ease. Had this on my older system and it worked great! This application has a better UI then some I tried, so definitely a keeper. Thanks for offering this application again. Is there any limits to the amount of files that can be recovered? Some programs limit to 1 gb on free version? Nickyboy, this is NOT the free version, so no limits apply! I can´t activate it. A worng activation message appears... could you give me some clues on it? Thanks to the admin of this platform for the daily giveaways. Hi, Thanks to the admin of this platform for the daily giveaways. AJNiteOwl, then is your RAW external disk completely broken and no recovery tool can scan it and the files recovery is not possible. AJNiteOwl, try downloading the tool HxD and start it as an administrator and go to "Extras" menu and choose "Open disk"
then in the resultant window choose from "Physical disks! section your problem "RAW" drive and skim through it to see if there is even anything there to recover! If there is nothing readable coming from the drive then no recover software will be able to get anything from it! AJNiteOwl, try downloading the tool HxD and start it as an administrator and go to "Extras" menu and choose "Open disk" then in the resultant window choose from "Physical disks! section your problem "RAW" drive and skim through it to see if there is even anything there to recover! If there is nothing readable coming from the drive then no recover software will be able to get anything from it! TK, I will look into but note my comments above, thanks. Easeus won't touch it and I haven't found any other "free" software (apart from iCare) that even acknowledges data is there. To be fair I haven't tried many of the paid versions mainly because it takes 9 hours or so to even get to a point where data is acknowledged and then you can try to recover (at which point it may not). AJNiteOwl, The point of HxD is to see if windows can even see any data in the sectors of the drive and since HxD can load the raw sectors from any attached local drive you can find out if the drive itself is functional for reading platter data. 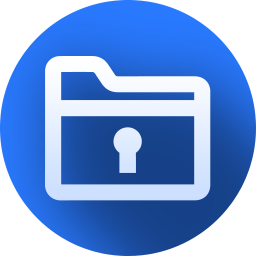 There are MANY factors that determine if files can be recovered even if data remains on the drive, file system type, extent of file system damage, extent of files fragmentation, damaged sectors and so on... Technically you CAN manually recover files using HxD if you have the experience... I have used it for that in the past to recover a file that automated solutions could not recognise, you select the sectors and copy them to clipboard then go to File, select New then paste/insert the clipboard contents into the new file tab and when finished save it to a file of the right type on a different drive... and see if it works. AJNiteOwl, if you work in an office environment it would be sensible to have a comprehensive multi-level backup routine... I'm talking about recovering one or two files that escaped a backup routine, not trawling through millions of potentialy recoverable files of no intrinsic value, lifes too short! Have you tried formatting the disk (making sure you use the same file system it had when it was working, e.g., NTFS, FAT32, etc.)? I've been in the same situation you are in, and after a last-resort reformat, PhotoRec has almost never failed to bail me out. AJNiteOwl, Have you tried formatting the disk (making sure you use the same file system it had when it was working, e.g., NTFS, FAT32, etc.)? I've been in the same situation you are in, and after a last-resort reformat, PhotoRec has almost never failed to bail me out. Chris Hartsfield, after downloading the zip file right click on it and select properties and select unblock... if challenged over an unsigned file go to ... Just fired up win 10... type in "App & browser control" to the task bar search and select the item of the name above and if you want to be the final choice maker change all the options to "Warn"
"It is the same with me: it says "Do Your Data Recovery 5.8 Professional" along the top. I previously had version 5.5 installed" Thanks! Hi Jerry, "It is the same with me: it says "Do Your Data Recovery 5.8 Professional" along the top. I previously had version 5.5 installed" Thanks! Smats, There is. It is at the bottom of the page once you launch the application. I just upgraded mine from free to pro (registered). Smats, There is. It is at the bottom of the page once you launch the application. I just upgraded mine from free to pro (registered). original samuel, the button is only by people who not have already installed a previous version of Do Your Data Recovery Professional.